More often than not, couples try to use their divorce as a way to get even with each other rather than to end their failing marriage. It is common to feel hurt, frustrated and vengeful at times; but resist the urge to act immature. When you act like adults, a divorce settlement can be reached more easily and quickly which results in a less costly divorce. And surprisingly, if you conduct yourself in an adult manner, you will soon see your spouse’s behavior mimic your’s. When you are going through a divorce, it is an extremely emotional time; but it is not time to “weaponize” the situation with your children. Your children need both of their parents now more than ever and they should not feel like they are being forced to play referee or to pick sides. Your marital state is not their fault and the details of your divorce should not be brought to their attention. It is your job as parents, however, to work together to ensure that your children are the least effected by your divorce and this includes working out a proper and fair child support and visitation agreement. Accomplishing this part of your divorce will be the most constructive and important part of the divorce process and once accomplished will lead to the rest of your marital estate to be resolved quickly and cost effectively. If there is one golden rule to follow, it is to attempt to work as a united front when it comes to your children no matter what your relationship bears because they did not ask to be here, you both brought them here and you owe it to them. It is very common in a marriage that one spouse handles all the finances during the marriage. Unfortunately, this leads to one spouse over the other having more knowledge of the marital assets and their respective monetary value. Therefore, learn where your money is; your mortgage holder; your insurance carrier; the year, make and model of your vehicles; and what real and personal property you own. This knowledge will lead to a quicker and more cost effective and comprehensive settlement agreement for the resolution of your marital estate. Although your family and friends have the best intentions to protect your interests during your divorce, they unfortunately do not have the legal knowledge to properly guide you through your divorce proceeding. Good intended advice can lead to bad divorce advice. Keep your friends and family close for moral support but your attorney closer for the legal navigation toward your new life. Following the legal advice of your attorney can ensure a quick and cost effective divorce settlement. A divorce settlement is like a contract between the parties of how they will divide their marital estate and govern their lives separately. Therefore, being that it is a contract that both parties must adhere to, it should be viewed in this light and given great importance. A contract can be reached when there is a meeting of the minds on all terms. Keep your mind set to move away from disagreements forming mutual compromises while focusing on the terms you do agree on. The more you agree, the faster and more cost effective the divorce will be. During a divorce proceeding, one of the biggest expenses the parties field is the cost of motions. A motion is a legal document filed with the court requesting the court’s action to force the other party to do something. Motions should be filed as a last resort when all communication has failed and inevitably you are faced with no choice but to ask for the court’s intervention. Although you cannot stop your spouse from filing unnecessary motions, you can seek reimbursement of your attorney fees if you are successful in defending against an unwarranted motion. You should also be aware that with filing unnecessary and petty motions, you run the risk of alienating your judge who governs your divorce proceeding to its end. There are instances were you will have no choice but a well-thought out path of effective communication should be exhausted prior to the filing of a motion. 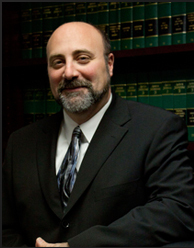 Obtaining the proper attorney for “you” is the key to having a quick and painless divorce. You must feel comfortable and secure that your attorney is working diligently to protect your interests and moving your divorce along for a quick resolve. Contact the Law Office of Gregory Dibsie at (856) 227-4025 to ensure you hire the proper attorney for YOU. Greg will provide you with the help you need when you need it most.